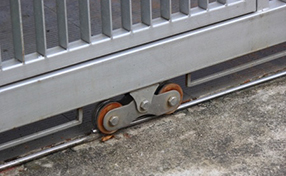 We have experienced contractors and promise fast and professional gate repair services! Our technicians are trained well and have deep knowledge of intercom systems in New York and the expertise to install and replace rolling gates and automatic roll ups with great efficiency. These days, gates are not simple systems. They usually integrate electric openers and their accessories and they are often combined with sophisticated intercom systems. As an expert gate company, our contractor can service modern gates efficiently. 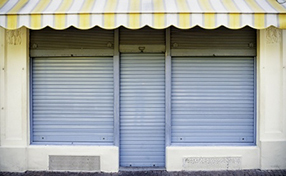 We have experience with all systems and gate types and guarantee excellent repair, maintenance and installation services. With skills and knowledge, our professionals install new gates and their parts, troubleshoot them and replace them. We can be useful when the gate clicker doesn't seem to work or clients need swing gate adjustment. Our residential gate service embraces all related needs and we also guarantee exceptional gate intercom repair and installation, opener inspection and service, and cautious replacement of all parts. Our infographic contains lots of useful information and advice on automatic gate. Get started with the reading straight away. 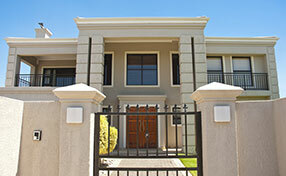 Our expertise in installing of all kinds of residential gates is outstanding.